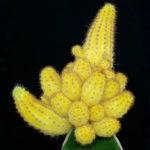 Echinopsis chamaecereus ‘Lutea’ is the yellow version of the Peanut Cactus, which is an albino form of Echinopsis chamaecereus. 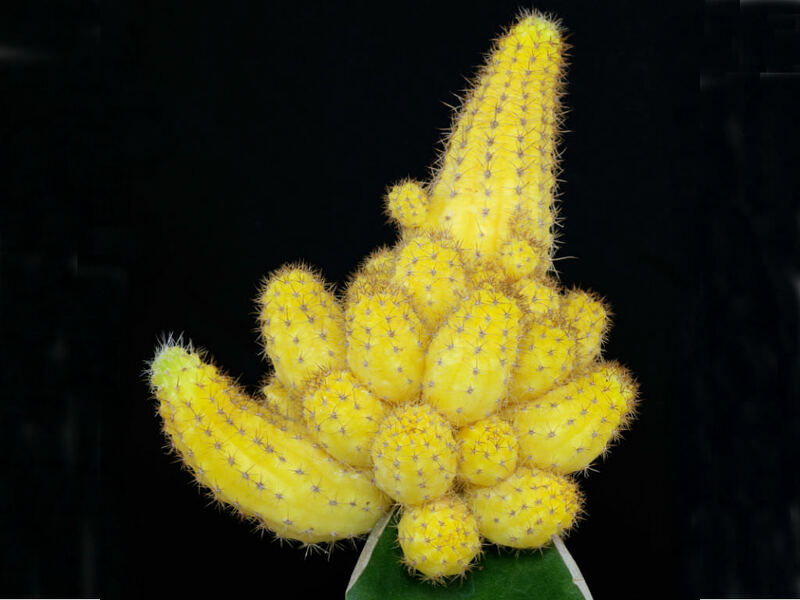 Any purely albino cactus can only be kept alive as a grafted plant and E. chamaecereus ‘Lutea’ is sold grafted onto stem of Hylocereus. 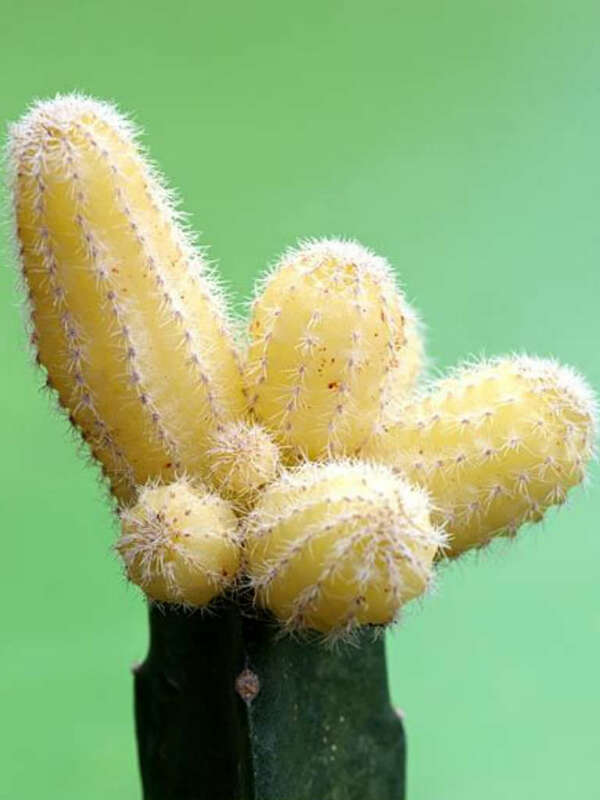 It is a branched cactus with many crowded finger-like stems, up to 6 inches (10 cm) tall. 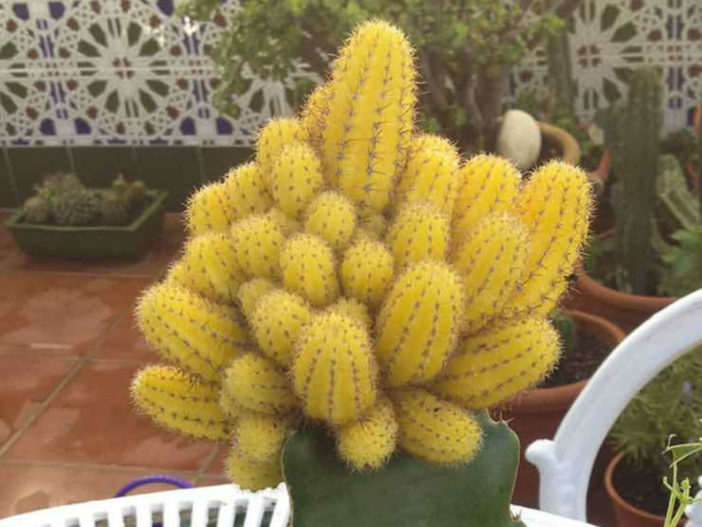 Peanut Cactus needs a well-draining potting mix. 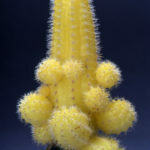 Water the plant thoroughly until water comes through the pot’s holes and let the soil dry at least halfway down the pot before watering again. In winter, decrease or withhold water. 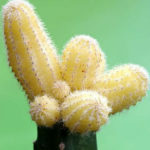 The plant will look shriveled and stems can take on a reddish tinge, but the Peanut Cactus will plump up again and return to its normal color in spring. 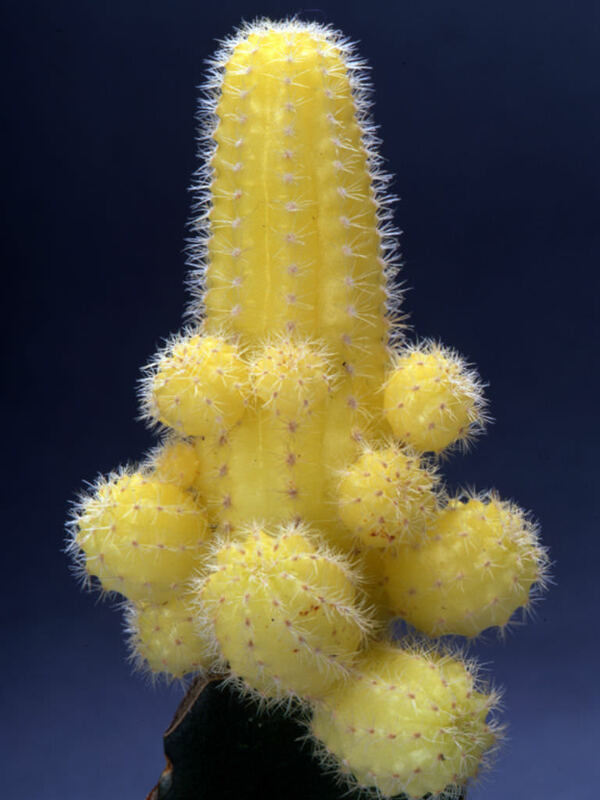 Echinopsis chamaecereus ‘Lutea’ is an albino form of Echinopsis chamaecereus.